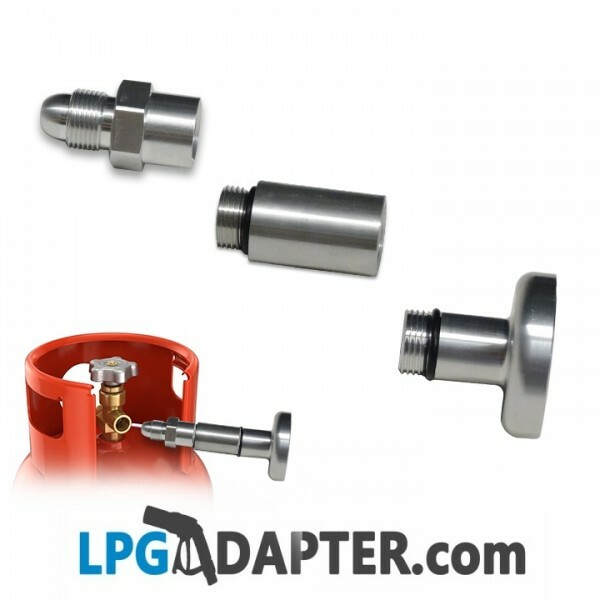 POL valve UK type propane gas bottle to Dish Adapter Enables cylinder filling at Autogas Stations used around Eastern and Southern Europe. 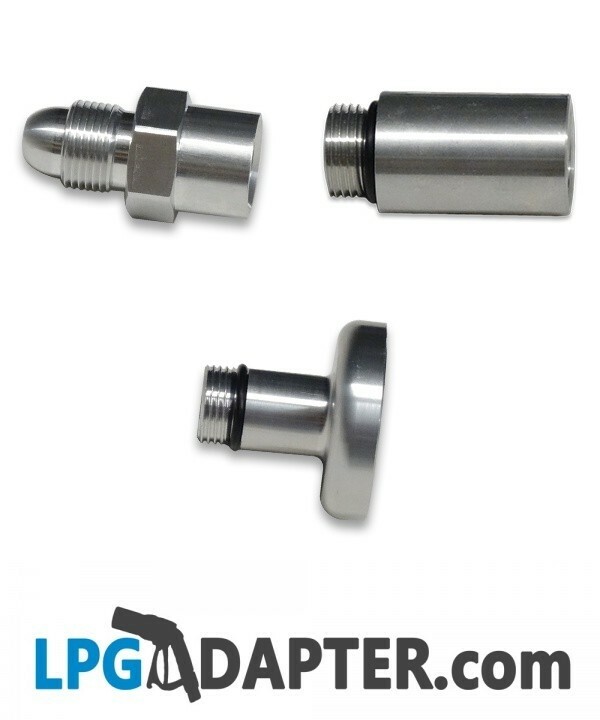 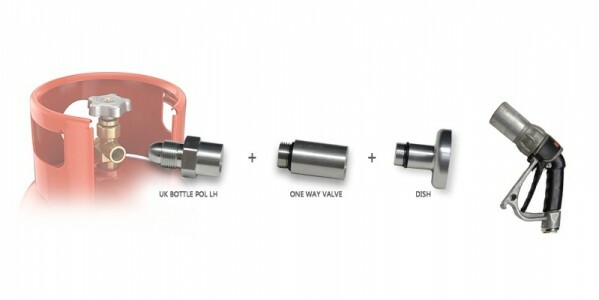 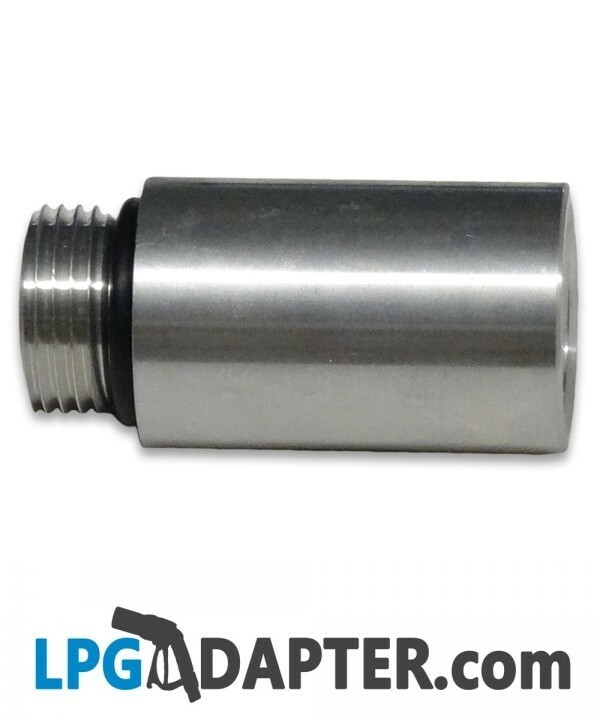 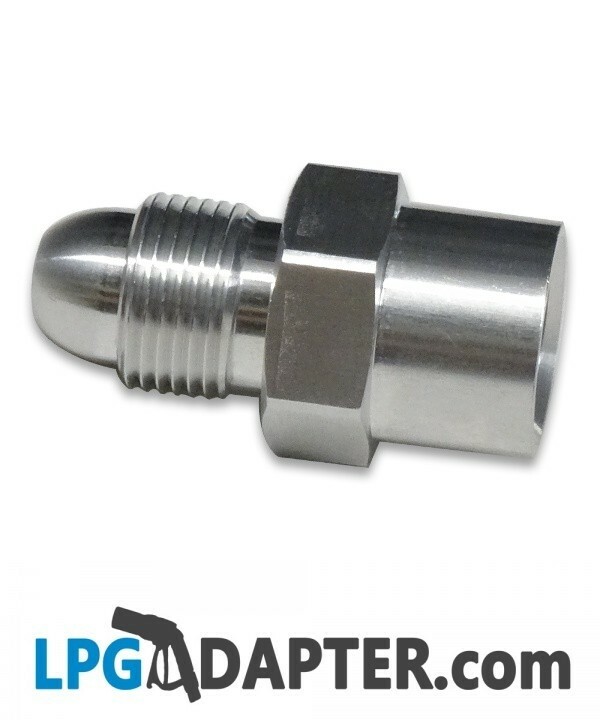 The POL UK TO DISH LPG PROPANE BOTTLE FILLING ADAPTER is a connector unit used to fill POL lpg /propane bottles fitted with POL left hand, reverse thread valve system, at an eastern and southern European autogas station pumps commonly called DISH. 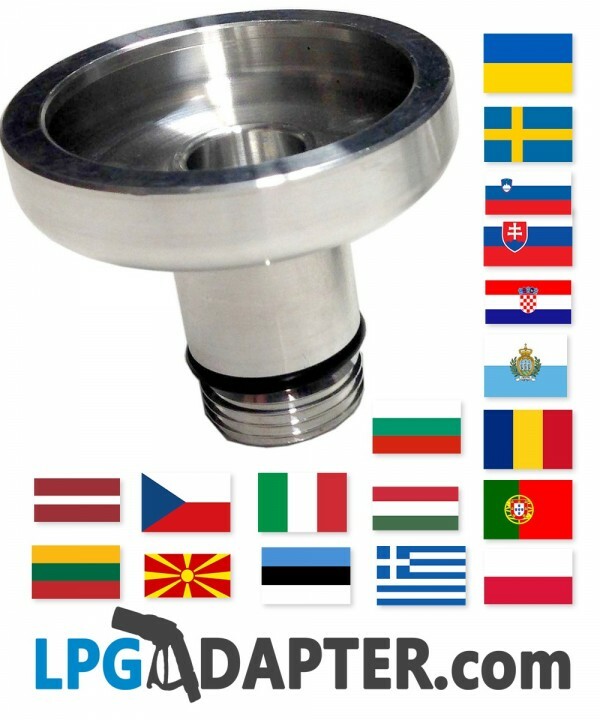 The list of coutries using DISH type fitting is in a table below.